Hernán Núñez de Toledo y Guzman, born in Valladolid, was a Spanish humanist and an eminent biblical scholar. He studied Greek, Latin, Hebrew and Arabic. Guzman is most recognized for his work on the “Complutensian Polyglot” a six-volume Bible including the Old and New Testaments, indices, Hebrew and Aramaic dictionaries, a Hebrew grammar and interpretations of Greek, Hebrew and Aramaic names. The “Complutensian Polyglot” is one of the crowning achievements of humanist scholarship. 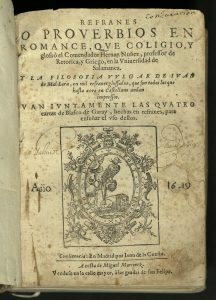 Beginning in 1508, Guzman began compiling a collection of Spanish sayings and adages. The work contains 8,557 entries and is glossed with comments and parallel sayings from other languages including Catalan, Galician, Portuguese, French, Italian, Asturian, Latin and Greek. The sayings are listed in alphabetical order with an indication of the language for those other than Spanish. 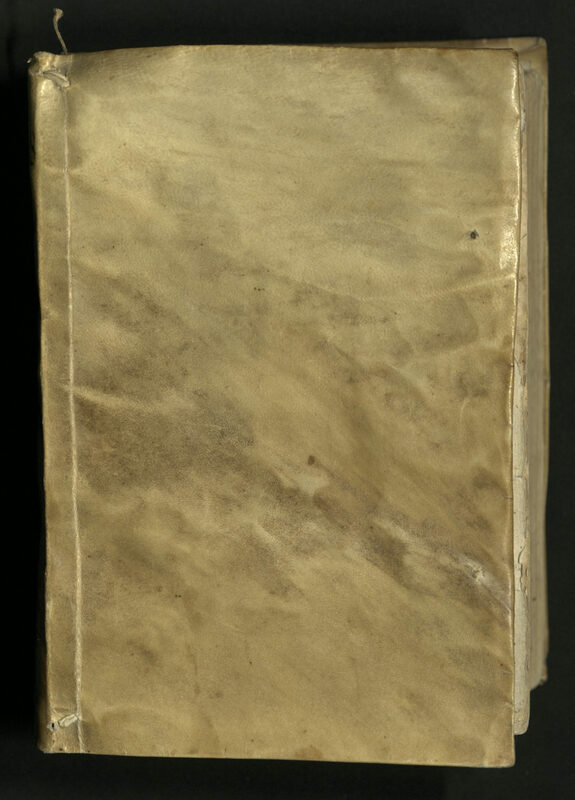 The compilation was at press when the author died. 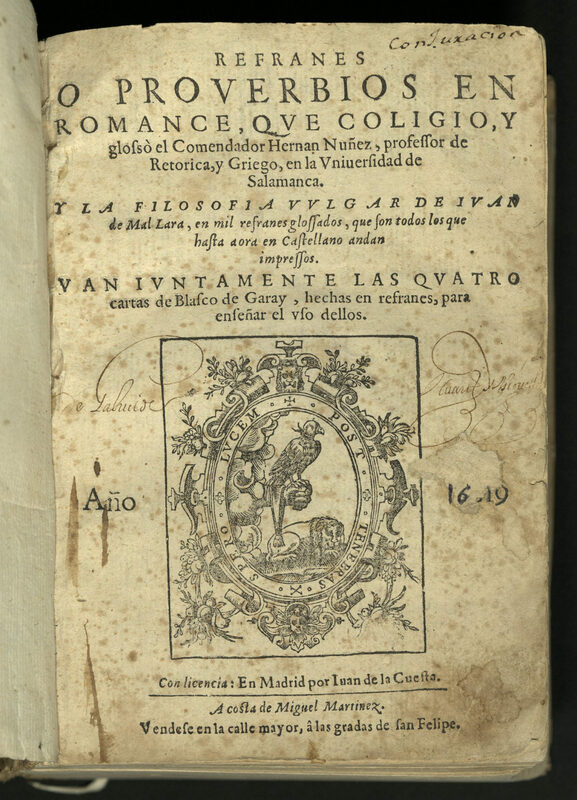 Guzman’s student, Leon de Castron wrote the prologue. Refranos was reprinted several times, each imprint unique as proverbs were censored for being anticlerical or obscene, and, often, re-admitted.